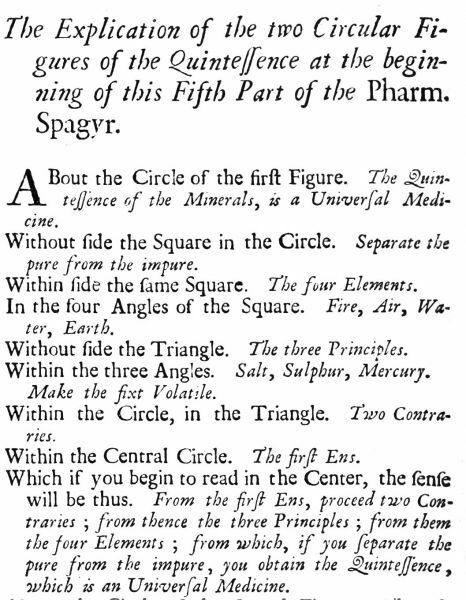 It is not often that we find an alchemical author providing an explanation, or at least a key, to one of the emblems in his books. This abstract emblem occurs in the English translation of the Works of Rudolf Glauber, published at London in 1689. Although I have not had time to check, it is almost certain that this engraving was re-used from Glauber's original publication in Latin or German of his 'Book of Dialogues'. 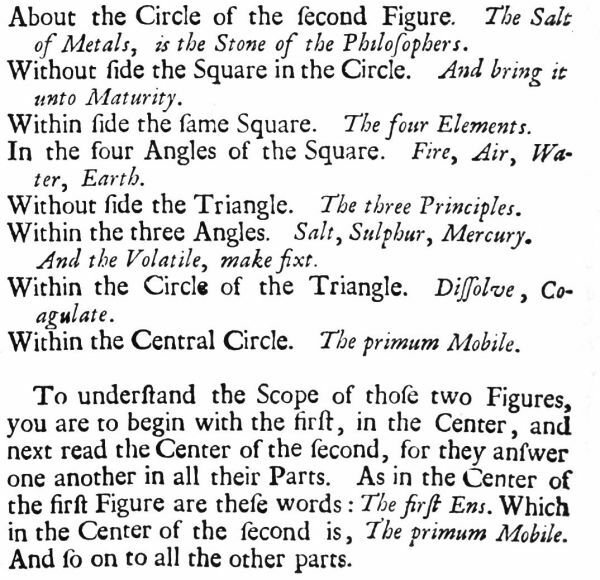 In the four principal points of the circle (supposing two transverse lines were drawn, through the center, to the outer circumference) are placed the characters of Sol, Sulphur, Lune, Salt. 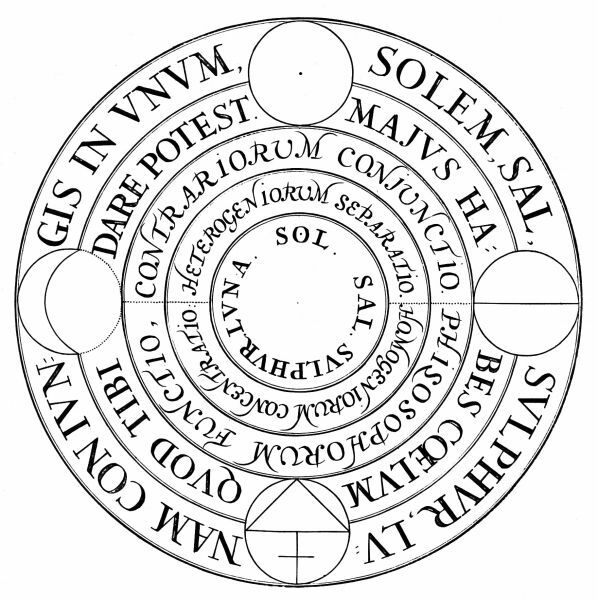 Round the outmost circle, are placed these words : Conjoin in one, Sol, Salt, Sulpur, Lune. Around the next circle: And thou hast as great a treasure, as Heaven can give thee. Within the third circle : The Philosophers function, is of contraries, the conjunction. Around the next circle : The concentration of Homogeneals, is the separation of Heterogeneals. Within the inmost circle: Sol, Salt, Sulphur, Lune. Here are a further two abstract emblems from Glauber. As with the image we looked at earlier, Glauber provided a key or analysis of these emblems. Here is the explanation of the first, or rightmost image. And this applies to the leftmost.